This Museum was established in the year 1976 by Maharaja Dr. Karni Singhji of Bikaner to commemorate the memory of his late father, Maharaja Sadul Singhji on the 1st floor of the wings of Lallgarh Palace known as Sadul Niwas. All the objects in the Museum were arranged and displayed by the strenuous efforts of Princess Rajyashree Kumari Bikaner, Chairperson of the Trust. 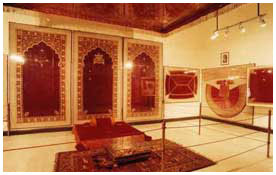 The Museum depicts the lives and times of the Rajas, Maharajas, Rajputs and the social and cultural heritage of Bikaner State through the various artifacts and photographs displayed in 22 rooms of the upper story of Sadul Niwas Building. This Museum is probably the best pictorial record in Princely States which is open to the Public. This ancient library of manuscripts was brought by Maharaja Anup Singhji from Deccan, who was contemporary of Aurangzeb, consisting of about 6,000 rare manuscripts and books in many languages. It is an immortalize pilgrimage center for researchers both from within India and also from all over the world. The wonderful collection of handwritten manuscripts spell sheer magic-an experience understandable and unforgettable as only this library can provide. Maharaja Karni Singhji was keen that this library be housed in trust premises for scholars to do research. Though the library belongs to the Royal Family but it is available to scholars for research purpose. To augment the income of the Trust a hotel was started in 1974 in the two wings of Lallgarh Palace known as Sadul Niwas and Karni Niwas. The hotel consists of 38 specially designed and spacious rooms over looking the gardens. One can feel the aura of fine architecture here. The atmosphere to tranquility the blend of regality and graceful stylized service of management spellbound the visitors. All the income from these sources goes for the welfare of the people of former Bikaner State as defined in the aims and objects of the Trust Deed. About 5,000 historical books of Maharaja Ganga Singhji and Maharaja Karni Singhji on various subject are kept in the Sadul Museum for reference purpose and people can refer to them as an when required. About 15,000 files relating to the period of Maharaja Ganga Singhji, Maharaja Sadul Singhji and Maharaja Dr. Karni Singhji's private secretary office and the Master of Ceremonies Office and some other department files and personal files for the period from 1898 to 1988 are kept in the Sadul Museum for research scholars to use them. 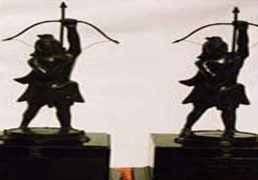 About 9,000 old and historical Bahis.Relating to the period from the Maharaja Ganga Singhji's reign to Maharaja Dungar Singhji's reign are safely kept in Sadul Museum for serious scholars to do research of the functioning and system of that period.